Guides to mounting a car terror attack were available on Google and Twitter last night. 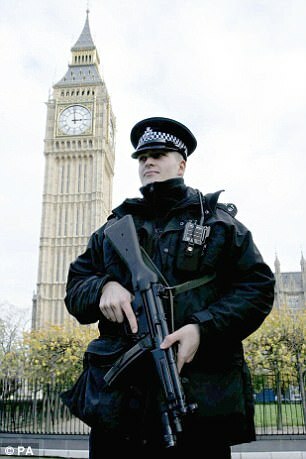 MPs railed against the armed police being deployed at the Parliamentary gates because they created a bad ‘atmosphere’. There were also a slew of complaints that security barriers to prevent terrorists ramming cars into the building were ‘ugly’. The complaints, in response to a survey by the House authorities in 2014, lay bare the extent of resistance among politicians to modernising security on the estate before the bloody terror attack this week. Armed officers are not currently stationed round the clock at the Carriage Gates, the main entrance that looks out on to Parliament Square. Khalid Masood marauded through the access point on Wednesday, stabbing Pc Keith Palmer to death. He was shot by Defence Secretary Michael Fallon’s personal guards after making it around 20 yards on to the estate. Lib Dem MP Tom Brake, a member of the ruling Commons Commission, suggested today that officers manning the gates should always be armed or accompanied more closely by armed colleagues. Claims pro-Iran ‘lobby’ pushing Tehran’s agenda in D.C. Authorities in London made two more “significant” arrests in the investigation into Wednesday’s terror attack that sent shock waves through the country. The latest sweep brought to nine the total of arrests made in the wake of the attack. One woman was released on bail, Reuters reported. Authorities are working to determine if the attacker, Khalid Masood, who died at the scene, was directed or acted alone. Masood killed four in the attack outside British parliament. Police said they believe Masood, 52, acted alone when he drove an SUV into pedestrians on Westminster Bridge before stabbing a police officer on the Parliament’s grounds. The dead included a British policeman, stabbed repeatedly, an American tourist who was celebrating his 25th wedding anniversary and a school administrator adored in the Spanish town where she spent summer vacations with her family. A 75-year-old victim of the bridge attack died late Thursday after he was taken off life support, police said. Authorities said two officers are listed in critical condition. Reuters reported on Friday that the attacker’s birth name was Arian Russell. According to police, Masood was born in Kent, U.K., and they believe he was most recently living in the West Midlands, which includes the city of Birmingham. Masood was known to authorities and had a range of previous convictions for assaults, including grievous bodily harm, possession of offensive weapons and public order offenses. A 2009 “user requirements” document on DarkSeaSkies explains it was created to allow the CIA to access a MacBook Air. The CIA’s COG [Computer Operations Group] had a “time-sensitive operational need” to install the Nightskies tool onto a MacBook Air, as the CIA had an “opportunity to gift a MacBook Air to a target that will be implanted with this tool.” It’s unknown who this target was. Switzerland has opened a criminal probe into possible spying involving Switzerland’s Turkish community, federal prosecutors said on Friday. “The Office of the Attorney General has been made aware of concrete suspicion that political espionage has likely been conducted involving the Turkish community in Switzerland,” the agency said in a statement, giving no details about the probe launched on March 16. The Swiss foreign minister told his Turkish counterpart on Thursday that Switzerland would “rigorously investigate” any illegal spying by Ankara on expatriate Turks before an April 16 referendum that could expand Turkish President Tayyip Erdogan’s powers. Venezuela’s foreign minister expressed to his country’s chief rabbi “the desire to establish full relations with the State of Israel” eight years after the South American nation expelled its Israeli ambassador. “We suggested to start with a period of courtship, which means a beginning through consular relations, so that later it will become a marriage, which would be Israel’s own embassy again in Venezuela, as we have always had here,” Venezuela’s Sephardic chief rabbi, Isaac Cohen, told AJN News. Foreign Minister Delcy Rodriguez spoke of the country’s commitment to re-establish ties during a meeting last Friday with several Jewish leaders, including Cohen and Elias Farache, president of the Confederation of Israelite Associations of Venezuela, the umbrella Jewish organization. Cohen said that he has been in touch with the Israeli Foreign Ministry. “I am an Orthodox and Zionist rabbi, and for me it is Jewish pride to have the flag of the State of Israel hoisted here in Venezuela, as in any country where there is a Jewish community. That gives us peace and tranquility, it’s fundamental,” the rabbi said. Last month, President Nicolas Maduro welcomed a Jewish delegation including Cohen and Farache at the governmental palace to strengthen cooperation that over the years has faced roadblocks. “A good day of dialogue for peace. Boosting the co-existence and the dialog of civilizations, of religions to consolidate our nation,” the far-leftist leader tweeted after the meeting. The sermon took place at the Dar Al-Arqam Mosque in the city’s Saint-Michel neighbourhood on Dec. 23, 2016. The video was posted to the mosque’s YouTube channel three days later. 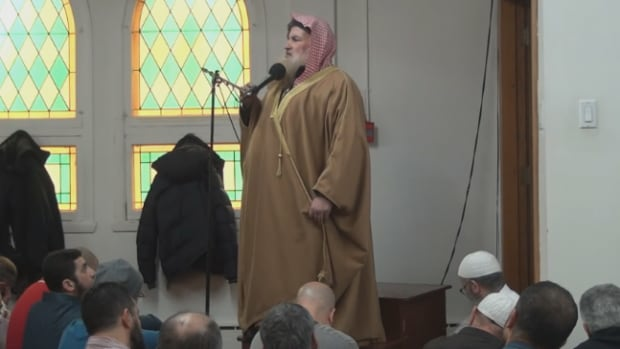 The imam in the video is Jordanian cleric Sheikh Muhammad bin Musa Al Nasr — he was reportedly an invited guest of the mosque. CBC independently verified the speech and its translation. The controversial verse comes from a religious text known as a hadith, which interprets the words and actions by the Prophet Muhammad. The hadith in question deals with end times and tells how stones and trees will ask Muslims to come and kill Jews hiding behind them. China’s ZTE Pleads Guilty to Illegally Shipping U.S. Technology to Iran. Chinese telecom equipment maker ZTE on Wednesday pleaded guilty in U.S. federal court in Texas for illegally shipping U.S. goods and technology to Iran. The guilty plea was part of an agreement the company reached earlier this month with U.S. authorities that also called for nearly $900 million in fines and other penalties. The company admitted to three charges: conspiring to export American-made items to Iran without a license from the U.S. government, obstructing justice, and making a material false statement. A five-year investigation had found ZTE (ZTCOY, +1.86%) conspired to evade U.S. embargoes by buying U.S. components, incorporating them into ZTE equipment and illegally shipping them to Iran. ZTE, which devised elaborate schemes to hide the illegal activity, agreed to the guilty plea after the U.S. Commerce Department took actions that threatened to cut off the gear maker’s global supply chain. Russia and India are in talks on creating new models of missiles at the BrahMos Aerospace joint enterprise, Russian Presidential Aide for Military-Technical Cooperation Vladimir Kozhin said Thursday. MOSCOW (Sputnik) — India has set a target of $2 billion defense exports, a six-fold increase from current exports, by 2019. In order to give impetus to exports, the Narendra Modi government has allowed government-owned defense companies to earmark 10 per cent of their production for exports. “The biggest challenge in boosting defense exports from India is the limited range of exportable products, limited overseas markets and predominance of defense manufacturers who have been in the business far longer than India,” Cowshish added. “Today, Indian partners propose to develop, deepen this cooperation, make new models of the missile, these talks are underway,” Kozhin said in an interview with Rossiya 24 television channel. France’s far-right presidential candidate Marine Le Pen has called for the lifting of EU sanctions on Russia, during a visit to Moscow. The National Front (FN) leader called for closer French-Russian ties at a meeting in Russia’s lower house of parliament, the Duma. She told its speaker sanctions over Russia’s annexation of Crimea were counterproductive, Interfax reported. Ms Le Pen has also met President Vladimir Putin. He reportedly told her that Russia had no intention of interfering in the election, but had the right to meet any French politicians it wanted. A suspected terrorist has been arrested in Belgium after he allegedly tried to drive a car into shoppers on a pedestrianised street – less than 24 hours after the attack in London. The vehicle was reportedly full of liquid gas, knives and rifles. Terrified pedestrians had to jump out of the way as the car entered the De Meir shopping street in Antwerp at high speed on Thursday morning. The suspected driver, who was wearing camouflage, was later arrested by police, local media reported. The U.S. Senate will vote next week on the ratification of Montenegro as the newest member of the NATO alliance, Senate Majority Leader Mitch McConnell said on Thursday, after the Trump administration urged lawmakers to take up the long-delayed matter. All 28 of NATO’s members must ratify Montenegro’s accession before it can formally join the alliance. The vote in the U.S. Senate was held up for months when at least two Republican senators, Rand Paul and Mike Lee, blocked a quick vote. The Senate’s Republican leadership had not scheduled a more time-consuming roll call vote until Thursday. McConnell announced in the Senate that there would be a procedural vote on Monday evening, which should clear the way for a final ratification vote later in the week. 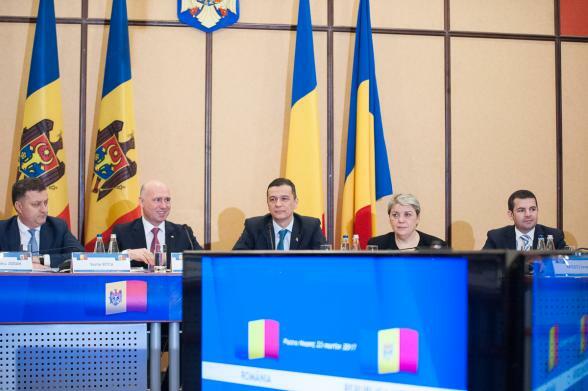 Moldovan PM Pavel Filip said on Thursday at the end of the joint Romania – Moldova government meeting in Piatra Neamt that a NATO liaison office will open in Chisinau this July. Premier Pavel Filip also reaffirmed support for the participation of the Moldovan army in NATO joint exercises carried out outside country borders. “I said that the Republic of Moldova is a parliamentary country and the important decisions are taken by the government and Parliament. At the same time, we have the institution of the President who is also the commander-in-chief. We were faced with a less pleasant situation when the national army was unable to participate in the military exercises organized in Romania, under the NATO aegis. You are perfectly aware of President Igor Dodon’s stance and his love towards NATO. We managed to sign an agreement with NATO and a NATO liaison office will open in Chisinau in July. Back then we had discussions with the President of the country and explained to him that most of the national forces’ plan of activities related to training and exercises – that is about 80 percent – will take place outside the territory of the Republic of Moldova with the support of our NATO partners. The further refuse to participate in these exercises would mean the weakening of the national army, and it makes no logic when a commander-in-chief is complacent with the weakening of the National Forces. I believe this was the first and last time when this confusion occurred and that in the future the National Army of Moldova will participate in all applications. Even more than that, we should thank for this support with the training and exercises the Moldovan army participates in,” said Prime Minister Pavel Filip. The Pentagon is worried about new American technology firms turning to Chinese companies for investment on potential military applications, The New York Times reported. Chinese firms are sending money to U.S. startups, include rocket engine manufacturers, companies that design sensors for autonomous naval ships and printers that make flexible screens that could be used in fighter jets. Many of the Chinese firms making the investments are owned by state-owned companies or have connections to Chinese officials, according to the Times. Department of Defense (DOD) officials worry about the investments because they have found that China is encouraging companies with close government ties to invest in U.S. startups specializing in technology that could advance China’s military and its economy, according to a new DOD special report. The Pentagon sent the report — commissioned before President Trump took office — to senior administration officials this week. Details on the size of the deals are not available, as startups and their investors are not required to disclose them. Thousands of defense contractors face a Pentagon directive to boost cyber security defenses by the end of the year, but many will likely won’t have all the safeguards in place, a cyber expert says.